Again, we were craving for Ialianni’s spaghetti meatballs, so every time we go to a restaurant that offers pasta, we try their red sauce. They were very generous with the cheese but honestly felt overpriced because of the small portion! 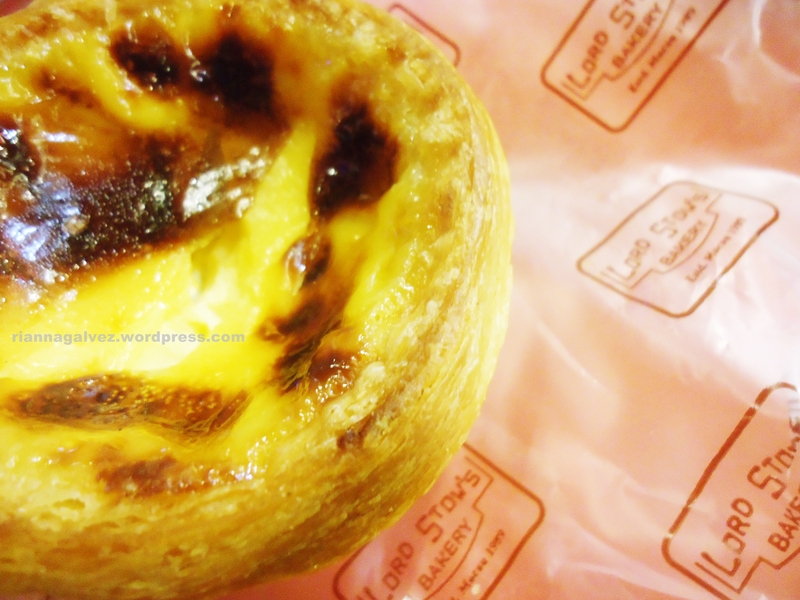 Ever since I was in high school, I would always let my Dad drive me to Lord Stow’s in Banawe just to have a tart or two. I passed on that addiction to my Mom,which later brings home a box..or two. I recently “influenced” someone to this addiction again, him. If you’re watching HIMYM, you have probably watched the Burger episode. Well, I have a little Marshal-ish episode in my tummy as well. Someone used to give me this super delicious cake,I have no words for it..i leaves me breathless all the time. Two years ago, we went to the patisserie shop where he orders the delicious cake,but sadly it was already closed. I really broke my heart cause I really love that cake! I couldn’t even describe how good it was! So every time I see a cake that looks similar to that, I try it. This was 50% close to that,almost the same..but still wasn’t what I was yearning for. So yeah, I’m still a “Marshal with a burger dilemma”. We watched the movie Trust. Can I just say,that Annie girl was so annoying and folish to even think Charlie was really her. Can’t get over!! I always tell someone to touch my brother’s humongous tummy! =)) And I always roll out of laughter every time they do so!! Mi bebi boy is so big already!!! My brother’s girlfriend Klariz,gave him this Captain America cake. Its so kyooooots!! Remo’s birthday ended with a drinking session with our Mom,his girlfriend,some of our cousins plus 2 microphones. They sang heir hearts out and drank the night away.